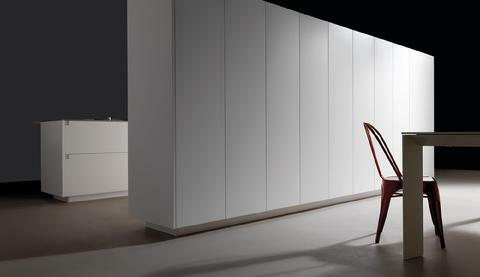 Mak2 - Red Star Cabinet Co., Inc. 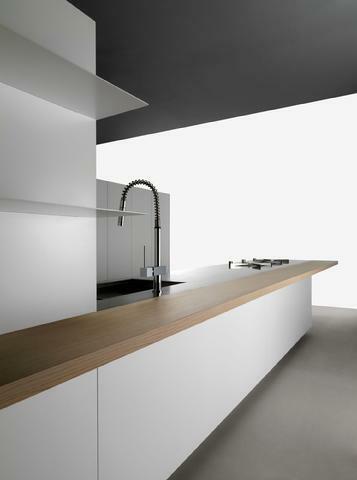 The precision of the materials combines with the precision of basic and forceful colors. 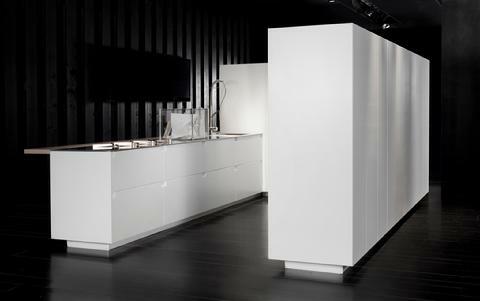 The well-delineated bases and the work stations are the backdrop to the system/handle that is the essence of MAK2. 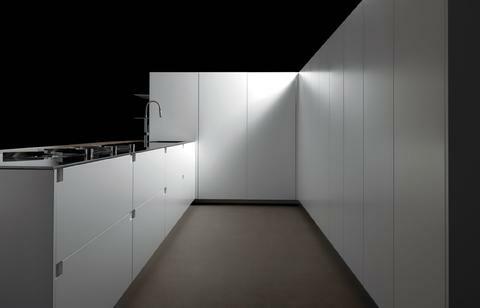 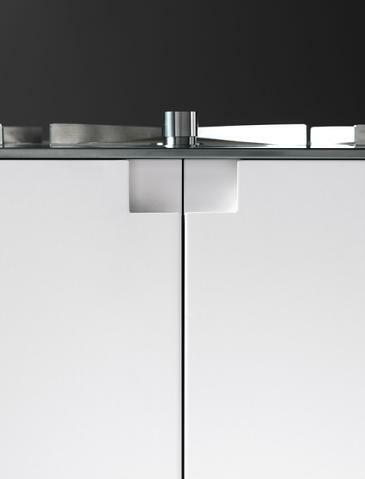 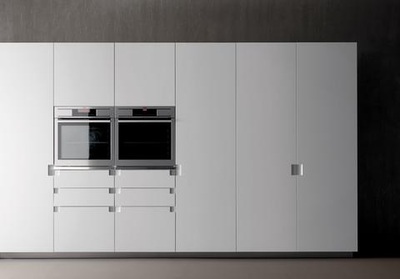 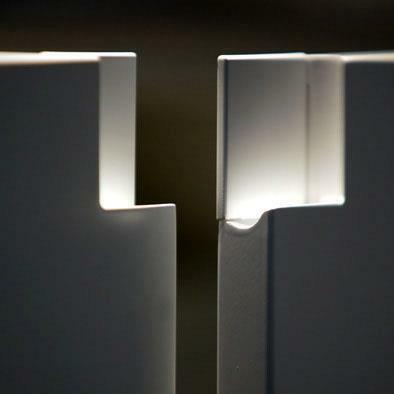 The in-built handle introduces a new refined and precious element, an innovative characteristic in a door that is highly minimalistic and yet based on marked contrast. 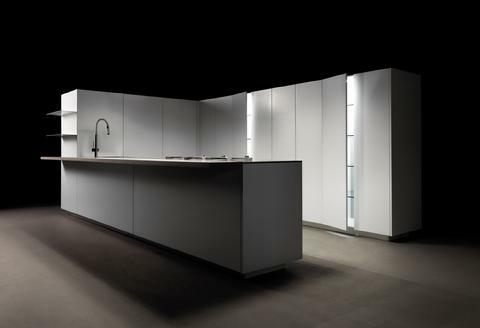 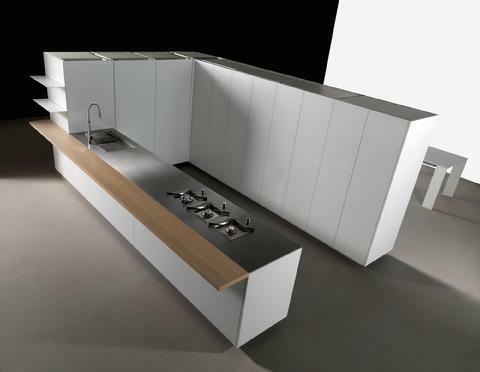 Its low columns divide the kitchen areas, delineating an aesthetic and functional space.